Obama administration accuses the Egyptian government of restricting free speech but recommends that it continue to receive military aid. The Obama administration has sent Congress a report that harshly criticizes the Egyptian government, accusing it of restricting free speech, arresting political dissidents and undermining democracy, The Associated Press (AP) reported Monday. The report recommends, however, that the U.S. continue sending it $1.3 billion in mostly military aid. The six-page report, which the administration is required to send to Congress, said human rights and civil activists have reported a "steadily shrinking space for political dissent" that has prompted them to censor their activities or leave the country, according to AP. "Except in rare instances, police and security forces have not been held accountable for alleged human rights violations," the report said. The Obama administration expressed concern for Egypt's decision to expand the jurisdiction of military courts to try civilians. "An unknown number of individuals accused of various crimes have spent extended periods in pretrial detention without charge," the report said, according to AP. "Conditions in prisons and detention centers are harsh due to overcrowding, physical abuse, inadequate medical care and poor ventilation." The report also said the Egyptian government has investigated and prosecuted its critics for inciting violence and insulting government institutions or public officials. "The Egyptian government has also closed media outlets, whose coverage of events does not comport with its narrative, and censored stories that present it in an unfavorable light," it said. 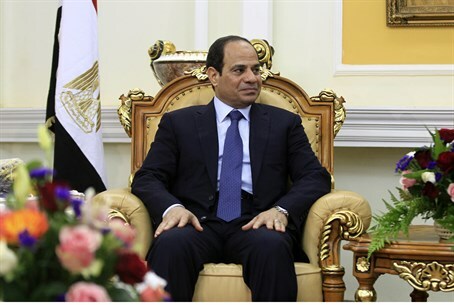 Washington has expressed concerned about the transition to democracy in Egypt ever since the military ousted former Islamist President Mohammed Morsi in 2013. In late March, President Barack Obama released military aid to Egypt that was suspended after the 2013 overthrow of the government. Current Egyptian President Abdel Fattah Al-Sisi recently appealed to the United States to play a greater role in helping his country fight terrorism, telling Fox News that while the U.S. has helped Egypt for decades, Egypt needs that help "more than ever," and wants to see a "big response from capable countries."